Alaska Aircraft Maintenance. Fast reliable service keeps you flying! Visit our new aircraft maintenance facility! We're still in Talkeetna! Visit us at Birch Creek Landing (51AK) for a tour! Aircraft Maintenance. We even come to you! Annuals, 100 Hour Inspections, rebuilds and modifications. Builders of the Alaska Airmen's Association Raffle Planes! Watch the build process for the Alaska Airmen's Association raffle planes from start to finish! Our new maintenance facility is still located in Talkeetna, Alaska! 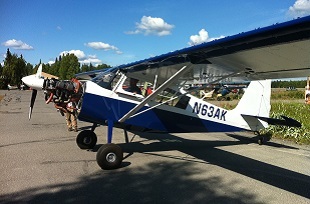 We are now 6 miles south of the Talkeetna State Airport at Birch Creek Landing, 51AK. Our physical address is 15651 E Kitty Hawk Circle, Talkeetna, Alaska. Stop by for a tour! We provide a full line of aircraft maintenance services with safety as our primary focus. A simple oil change, weight reduction analysis, or your entire aircraft recovered – we perform to the highest industry standard. We can even come to you! 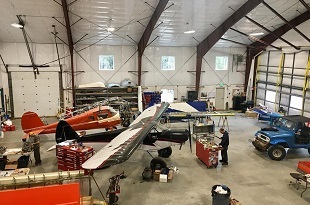 We are proud to partner with the Alaska Airmen’s Association to build completely refurbished aircraft for the Great Alaska Aviation Gathering. Support the Alaska Airmen’s Association and buy your ticket today! Contact Us Today!Aircraft maintenance services. Rest assured that your aircraft is in the hands of the best!